Top quality acoustic underlay with 3mm natural rubber offers outstanding footfall sound insulation and also actively suppresses damp. The high density, fleece-backed natural rubber is extremely stable and prevents movement in your flooring, reducing wear and tear. 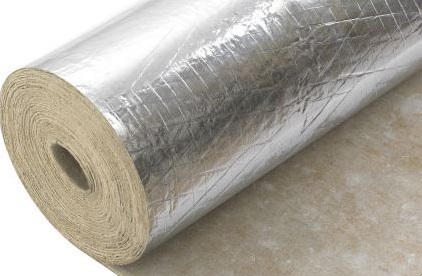 This is an underlay with real acoustic performance thanks to its thick materials, cutting down noise levels to make any room more comfortable. Don't worry about moisture rising up from the sub-floor - the silver vapour barrier film protects your floor covering against damp. With a tog value of just 0.37, this is an ideal choice for use with underfloor heating systems, helping it to heat your room more easily and keep you warm as a toast!